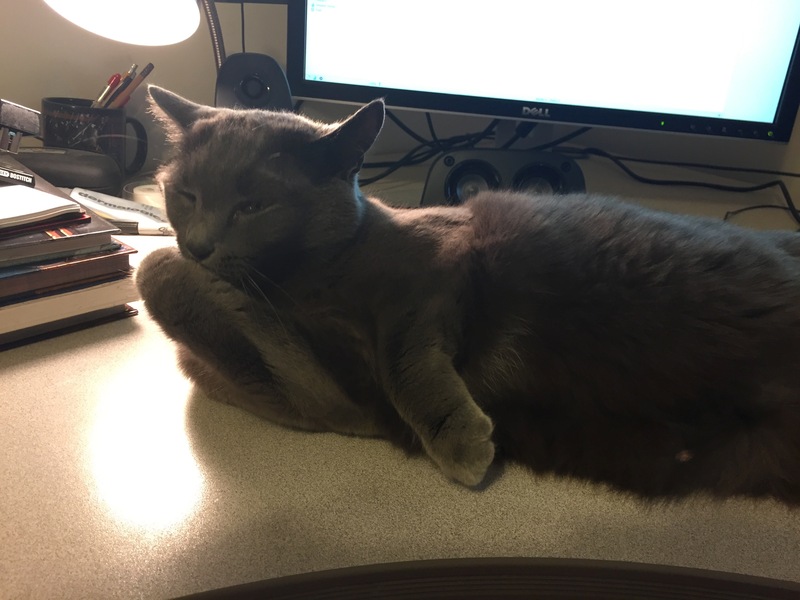 Drat, I thought I was going to get away from having to do this anymore, but now that my human pet is back from Augusta, he keeps whining at me to offer up another word to be sacrificed on the altar of concise writing. He bribed me with an extra hour of cuddle time, so I couldn’t refuse. So here goes. Today’s word is “really.” The word really is really unnecessary in writing (see what I did there?). The sentence I just wrote could have been “The word really is unnecessary is writing.” Sentence works like a champ and reads stronger. Plus it avoids two uses of the word in a sentence, but that’s an essay for another day. You may be tempted to use the word really to emphasize a character’s plight. Such as “The Horrible Antagonist really wanted to choke the Brave Good Guy.” Or “The Brave Good Guy drank a really good ale.” Bad writer, no treats for you. Not only is “really” unnecessary, there are stronger words that can get the same point across. How about “The Horrible Antagonist yearned to choke the Brave Good Guy.” Or “The Brave Good Guy drank a tasty ale.” See, much better. You don’t “really need to”, you “have to.” You don’t “really wish for”, you “long for”. I don’t bite “really hard”, I clamp down with the fury of hellspawn. So you see, really is a namby-pamby word, suitable only for dogs and other lower animal forms. Lose it from your writing. As always, caveats apply when writing dialogue, because when people talk they often use more words than they need. Why they don’t learn to meow and simplify things is beyond me. Until next time, may your kibble be dry and your milk cold.